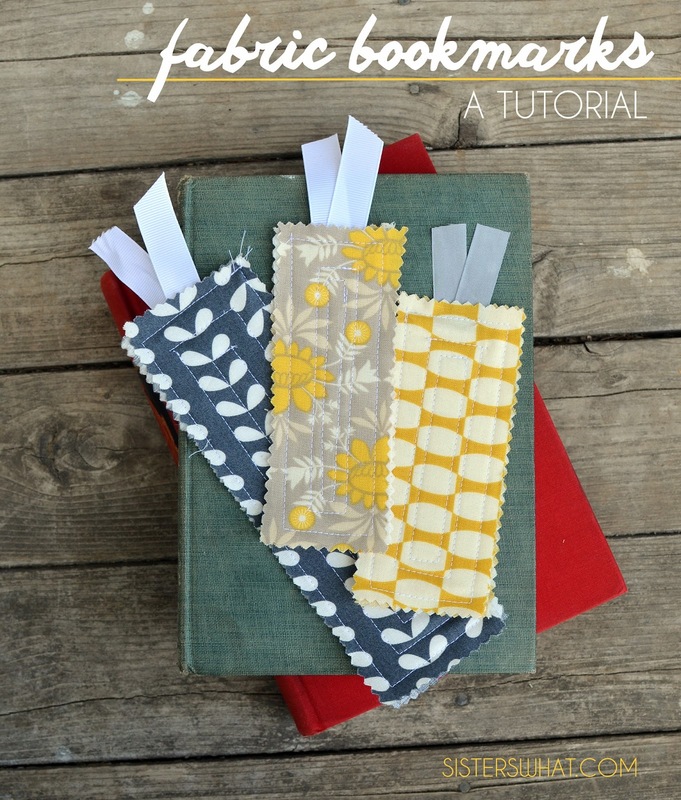 ' How to Make a Fabric Bookmarks Tutorial >> plus free printable for teacher gift. - Sisters, What! 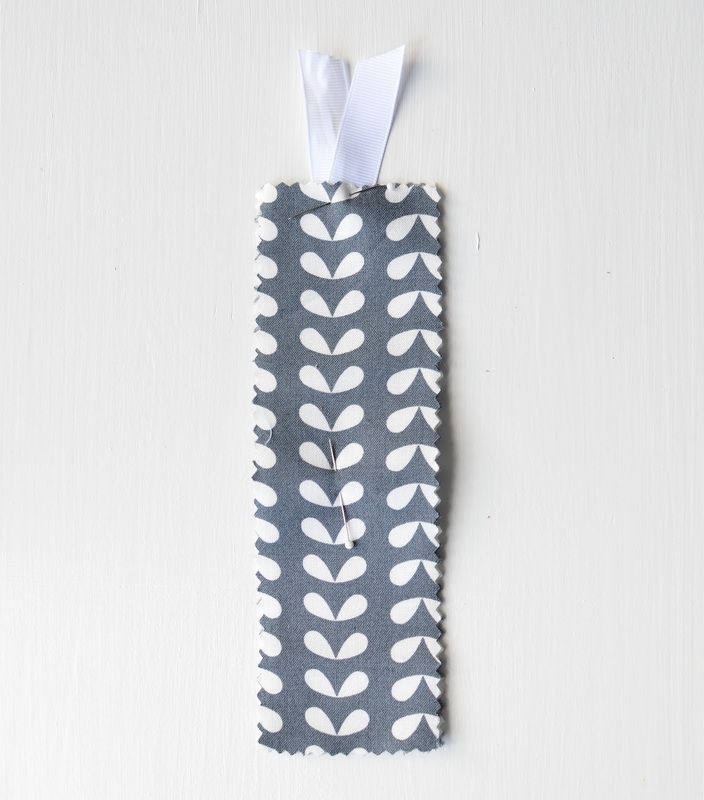 How to Make a Fabric Bookmarks Tutorial >> plus free printable for teacher gift. 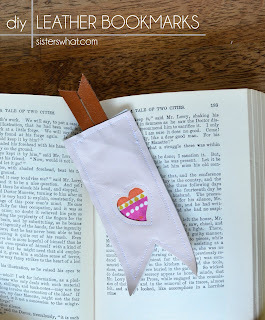 Last week I shared my leather book mark tutorial in which I showed my new found discovery of cutting leather on a silhouette machine (seriously awesome!). A month or so ago, the young women in our church held a auction fundraiser to raise money for girl camp. They asked for donations of homemade goods and I wanted to help, but I hadn't had much time to do many homemade projects. 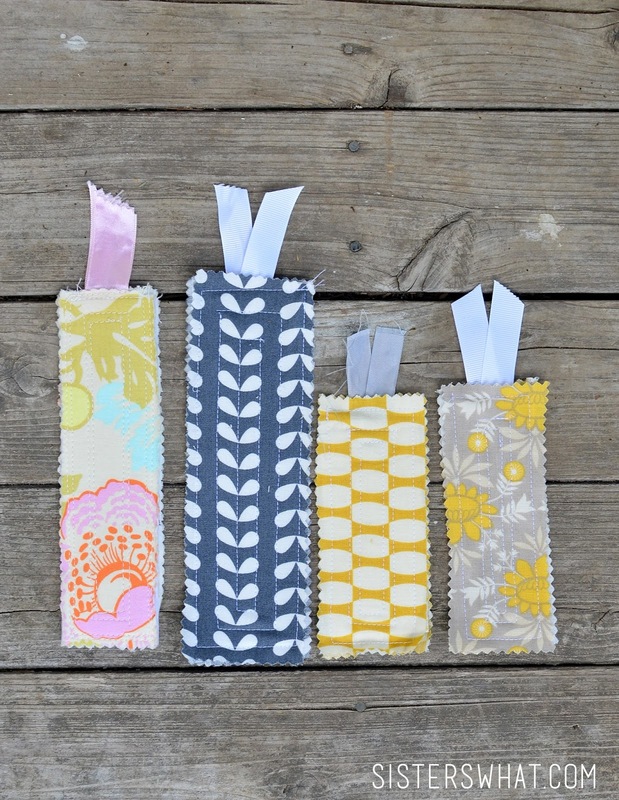 But alas, I remembered how quick fabric bookmarks were to make, so I whipped up a few from my fabric scraps stash. I was able to make enough to donate in about 30 minutes and it was kind of relaxing. 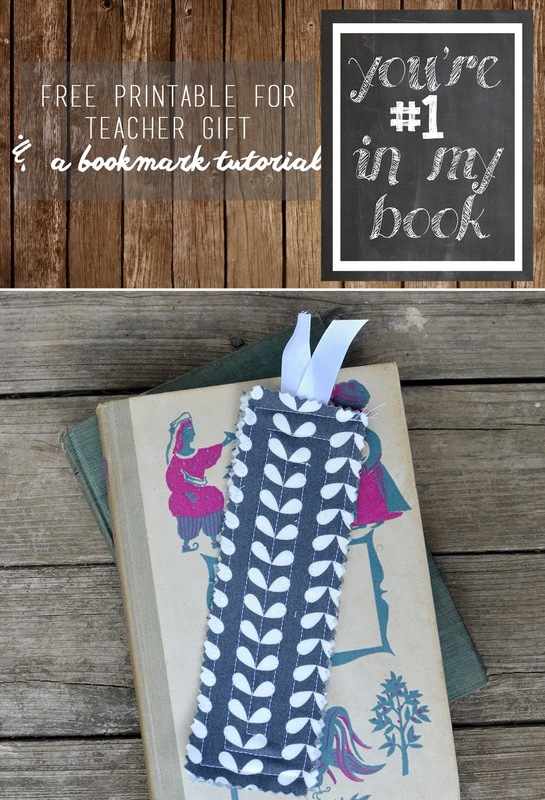 These bookmarks would make the perfect gift for anyone who loves to read or even as a teacher gift (see below for a printable to go with a teacher gift). 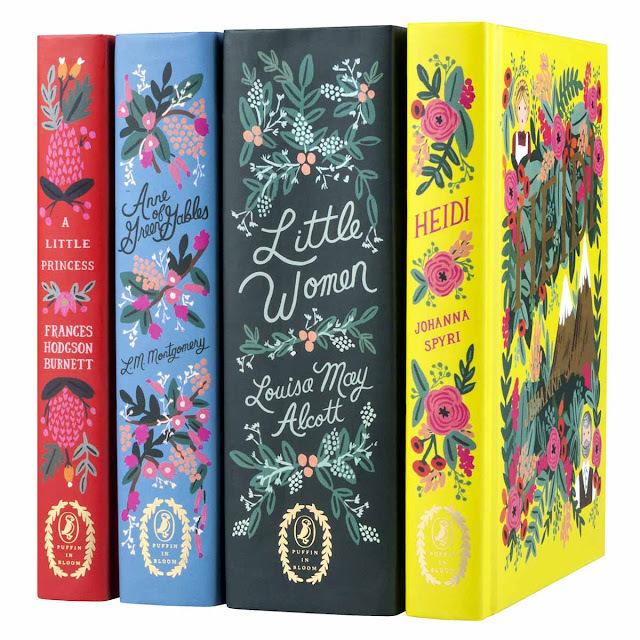 I mean the bookmark would be the perfect addition to any of these beauty of classic book editions. 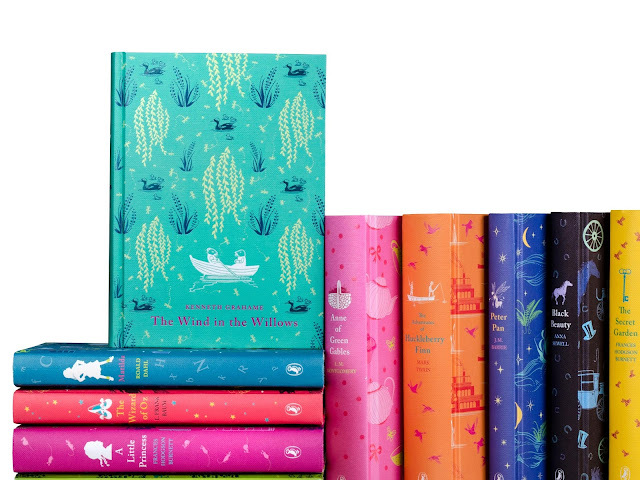 I love this 10 set Puffin Classics. The perfect of every color. 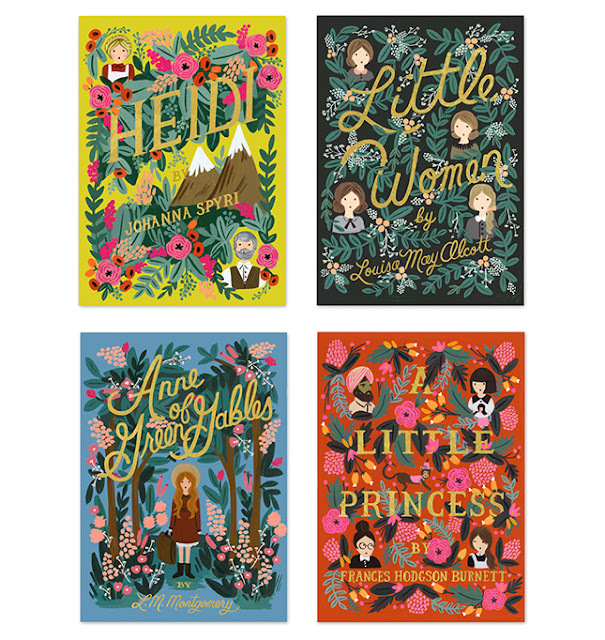 And how about this Puffin Bloom collection with art by Anna Bond. Just stunning! 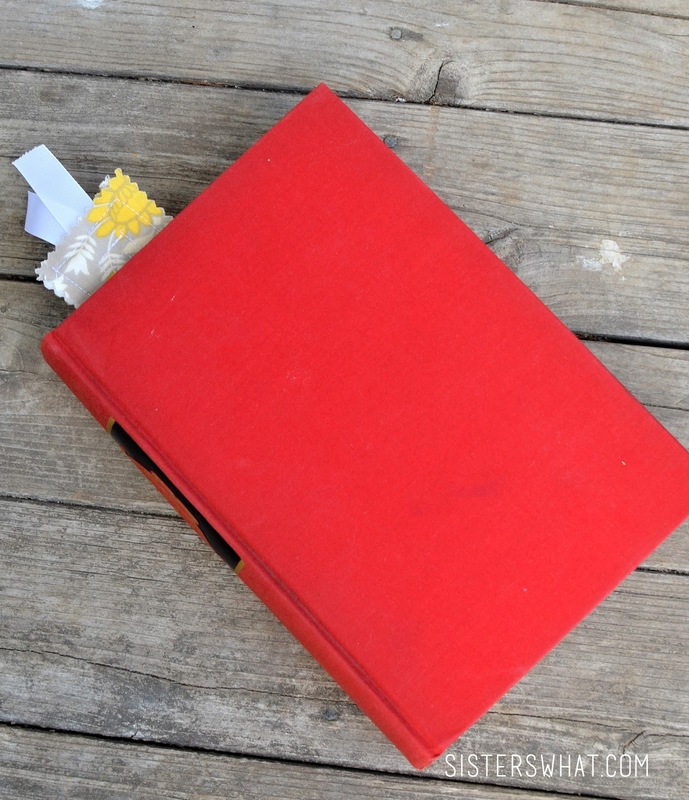 decide the size of your book mark and cut two rectangles from your fabric. Then cut one rectangle from your interface but make it slightly smaller than your fabric rectangles. Make a sandwich with your fabric and interface (interface and ribbon in the middle, but ribbon sticking out the top- like a carrot : ). 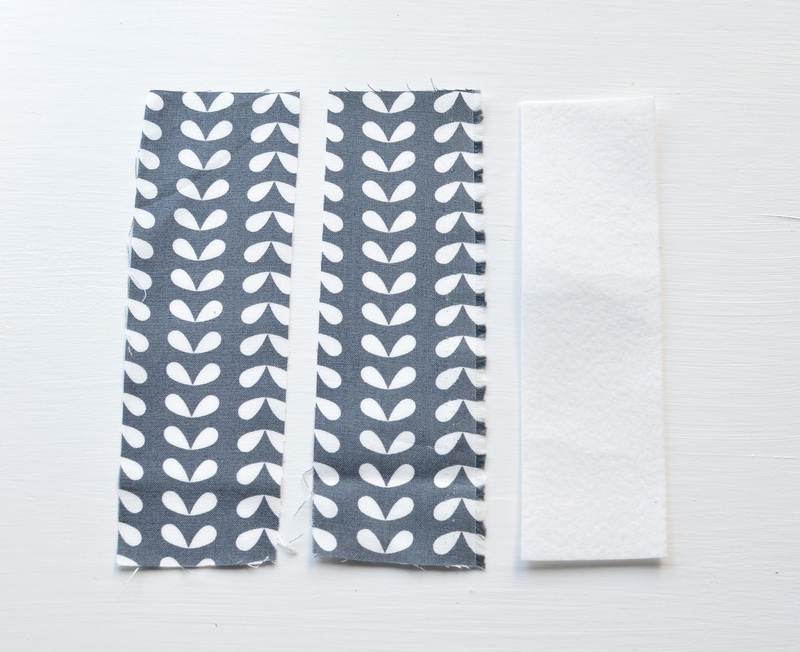 Cut your fabric with pinking shears (you don't have to do this, but it'll keep the fabric from fraying). 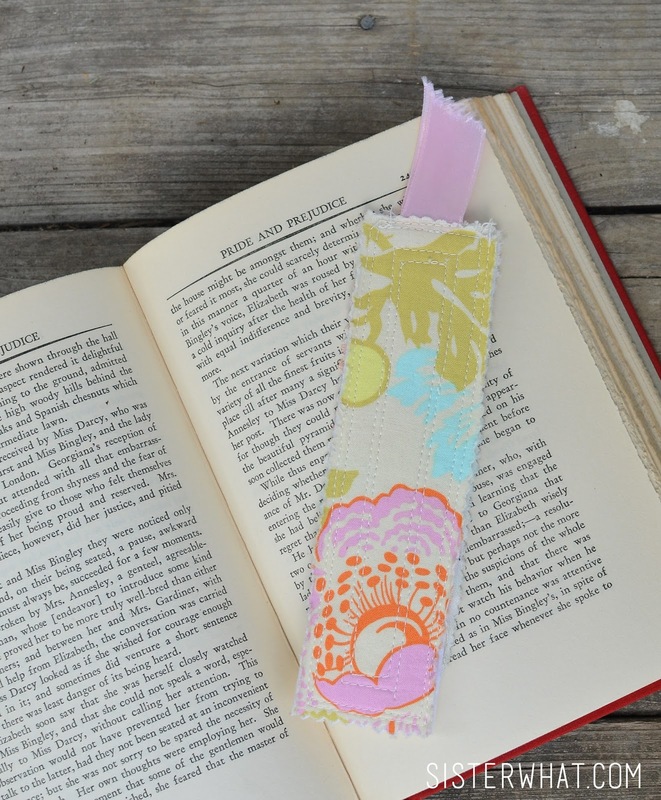 Sew around the outer edge of your bookmark. 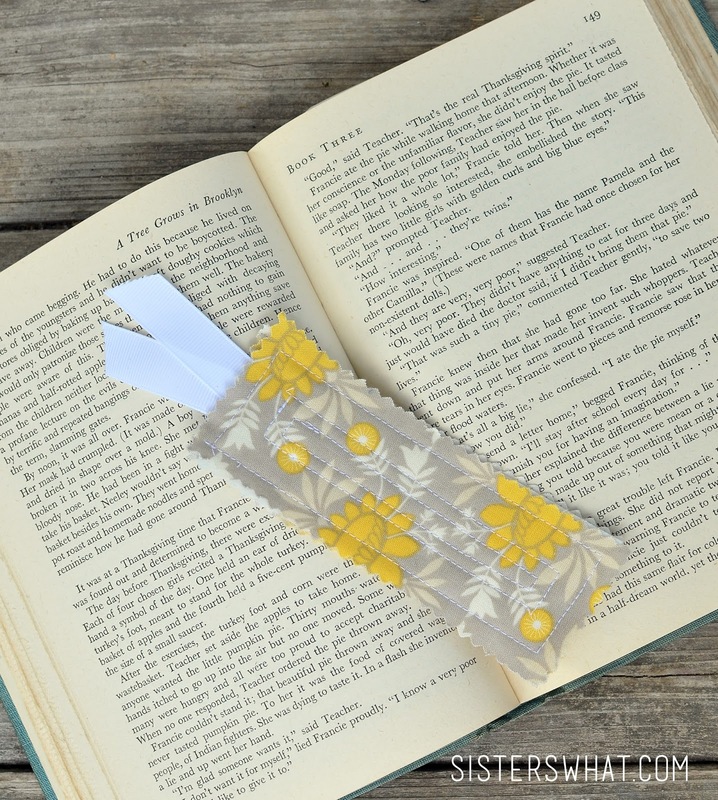 For a quilted look, sew around more lines inside the bookmark (see bookmark below). And that's it. See below for a printable to make it a teacher gift. 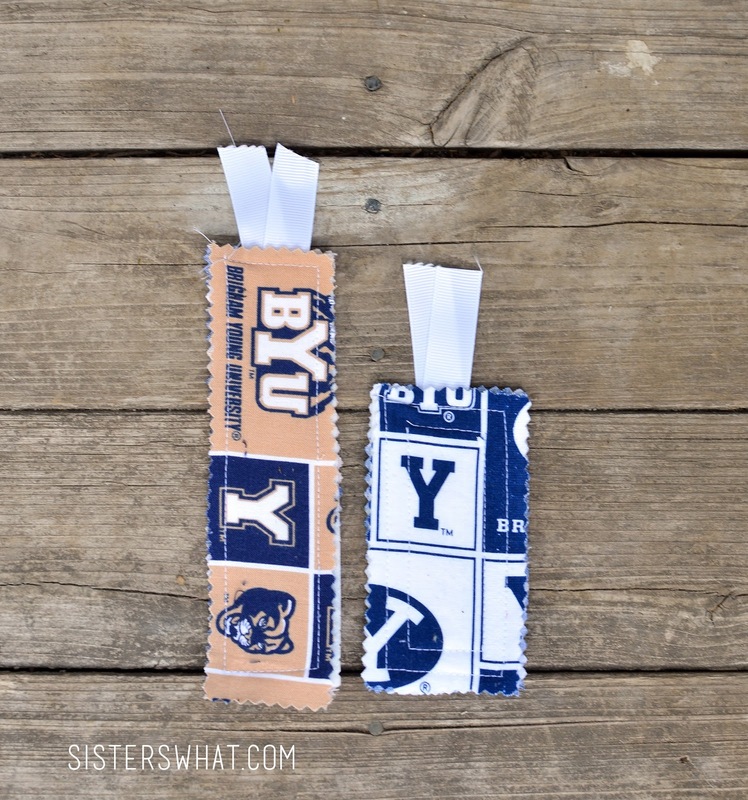 I love the BYU fabric! And I love using the ones you gave me for my birthday. So cute. Love it! I am definitely going to try this!